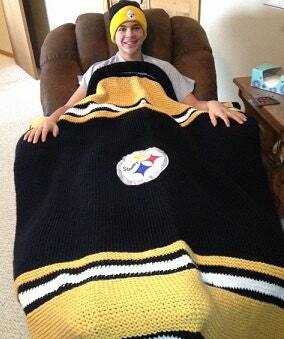 Loom knit a toasty warm 50" x 78" Steelers blanket for the favorite fan in your life! 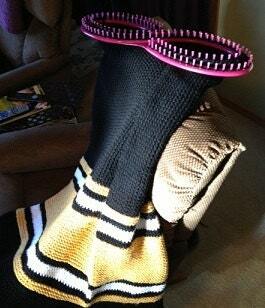 This blanket is knit as a flat panel over 124 pegs of a Serenity Loom (purchased from Hobby Lobby). If you don’t have a Serenity Loom, the blanket can be knit on any loom whose pegs are spaced about 3/4” apart. This pattern is beginner-friendly. The only stitches used are the e-wrap and the purl. 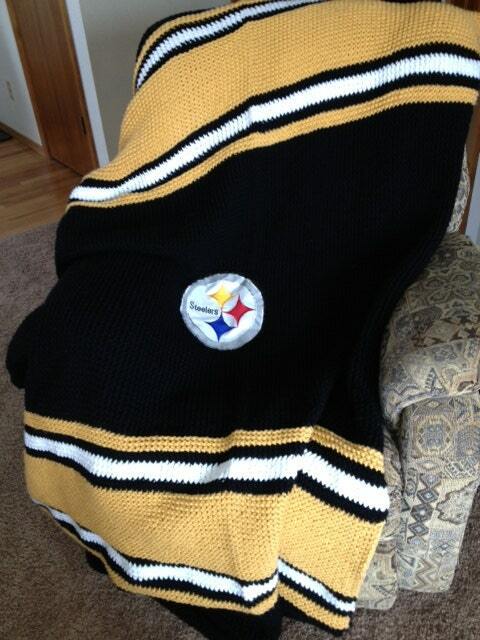 The embroidered Steelers emblem in the center is cut from a garden flag and sewn on with embroidery floss. 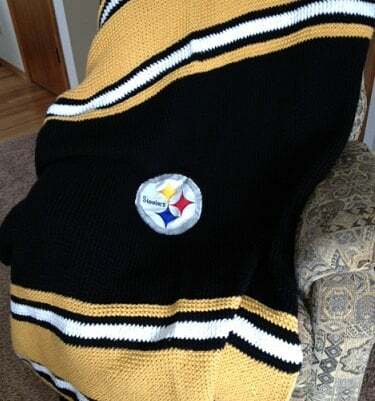 If the Steelers aren’t your team, this pattern can easily be adapted to the colors of your favorite team.